Photo 1: An Nasriya Marshes, Iraq, (Source: Ziad Sameer , Flickr). 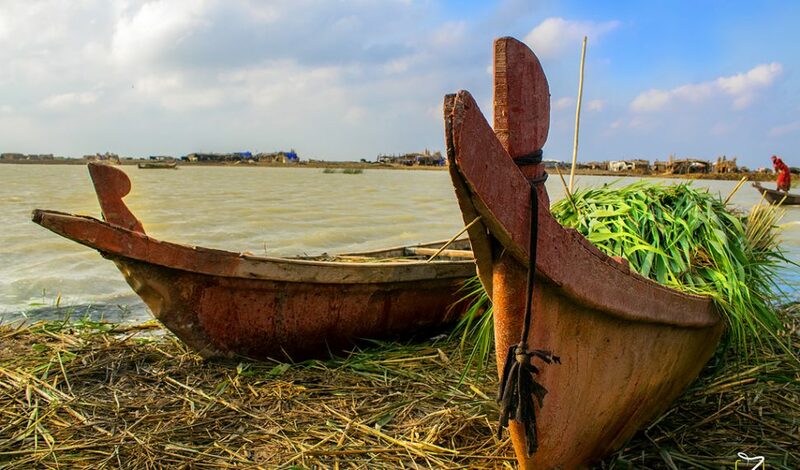 As mentioned in the previous sections, the government has acknowledged the strategic role of the marshlands in Iraq’s current and future natural resources management. Defining the boundaries of the marshland and formalizing a national vision regarding the area will facilitate long-term protection. The designation of the Central Marsh as the country’s first national park in 2013 was the first step in this direction. Similarly, the CRIM identified a target extension of the wetland areas, in an attempt to balance environmental needs with agriculture and oil extraction programmes. In July 2014, the Ministry of Water Resources committed to develop joint plans and activities for the conservation and wise use of wetlands with the Ramsar Convention, an international treaty that entered into force in 1980, and to collaborate in the management of the Hawizeh Marsh, which was registered on the convention’s List of Wetlands of International Importance in 2007. It should be noted that the management of the Hawizeh Marsh has to contend with hydraulic regulators, built in 2010-2011 along the border by the Iranian government, which further impacts the marsh inflow. 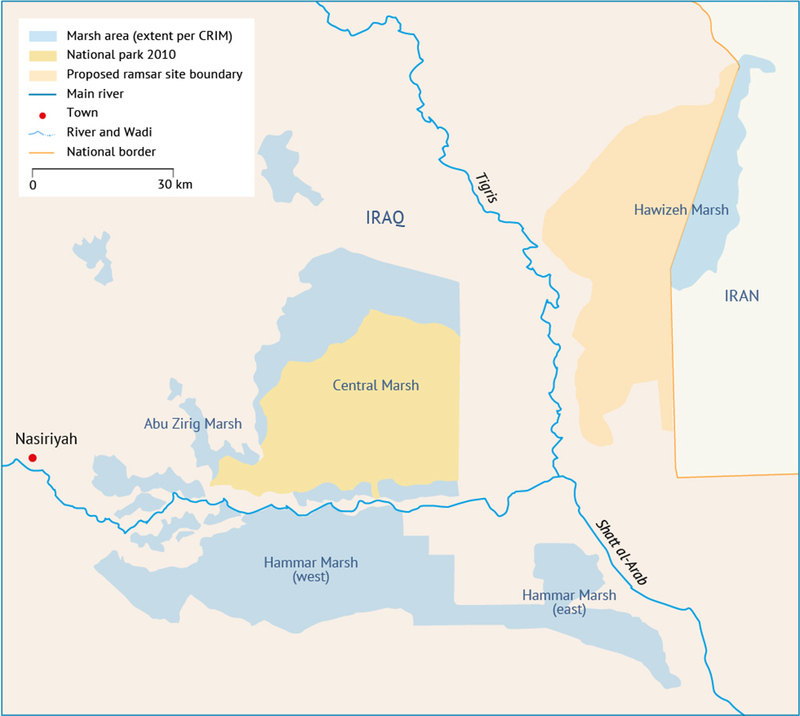 Map 1: A portion of the Central Marsh has been designated as Iraq’s first national park, and the Hawizeh Marsh within Iraq is registered as a Wetland of International Importance under the Ramsar Convention. 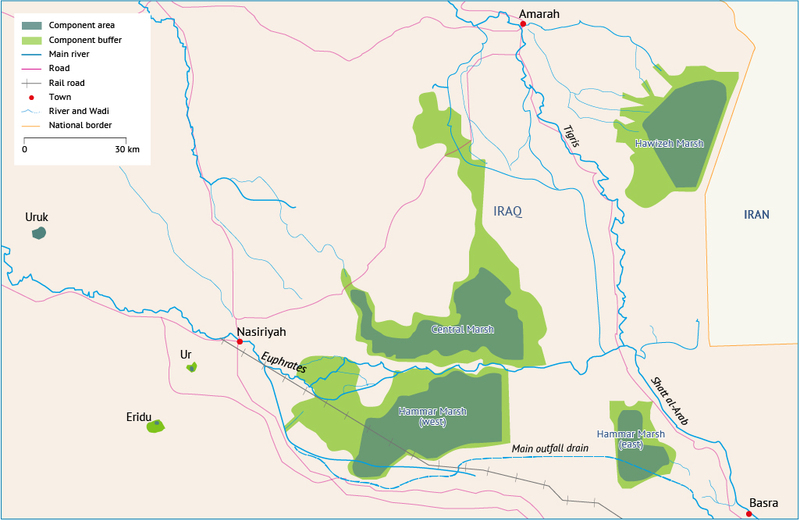 In 2013, the Center for Restoration of the Iraqi Marshlands (CRIM) launched a project to develop the National Atlas of Marshes and Wetlands in Iraq, a requirement of the Ramsar Convention. The project identified a long list of potential sites, focusing first on the Central and Hammar marshes. And in 2016, UNESCO named the marshlands a World Heritage site. Known in full as The Ahwar of Southern Iraq: Refuge of Biodiversity and the Relict Landscape of the Mesopotamian Cities, the inclusion of the site represents international recognition of its outstanding universal value. The site comprises seven components: four wetland marshes, namely the Hawizeh, East and West Hammar and Central marshes, and the three archaeological sites of Ur, Uruk and Eridu. Map 2: The seven areas that make up the UNESCO World Heritage site . 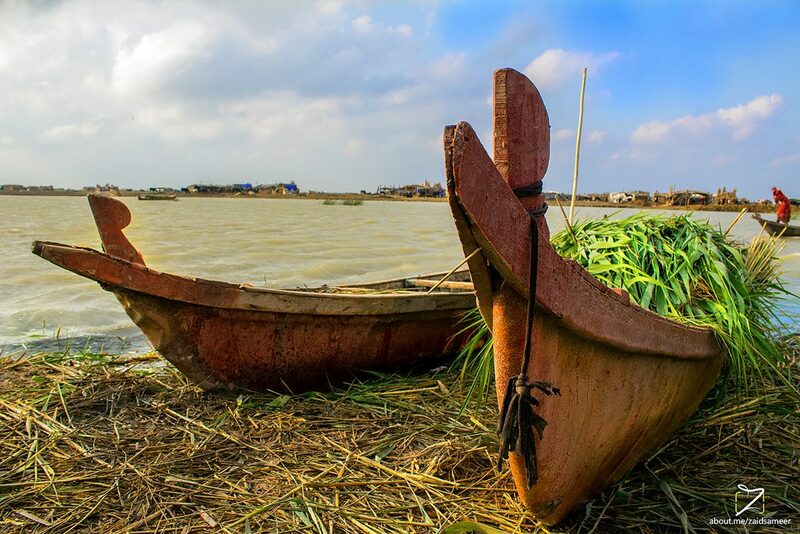 Sustainable development in Iraq goes hand in hand with the restoration and preservation of the ecological health of the Iraqi Marshes. The provision of a consistent and reliable quantity of water is the first step. In parallel with this effort, identification of water-quality targets for the flow entering the marshes is extremely important for the people living in the area as well as the wildlife, aquatic species, livestock and agriculture. With water quantity and quality targets identified, successful water resource management requires functioning infrastructure (such as gates, weirs and embankments) to control the inflow to and outflow from the marshes as well as the cross-flows between marshes. Ministry of Water Resources (2015). Strategy for Water and Land Resources of Iraq 2015-2035. Ramsar Convention (2014). ‘Iraq: Ministries of Environment and Water Resources collaborate for the conservation of marshlands of international importance’. Available at: www.ramsar.org/news/iraq-ministries-of-environment-and-water-resources-collaborate-for-the-conservation-of, accessed 6 February 2017. CRIM (2013). The National Atlas of Marshes and Wetlands in Iraq. UNESCO (no date). The Ahwar of Southern Iraq: Refuge of Biodiversity and the Relict Landscape of the Mesopotamian Cities. Available at: http://whc.unesco.org/en/list/1481/, accessed 6 February 2017.